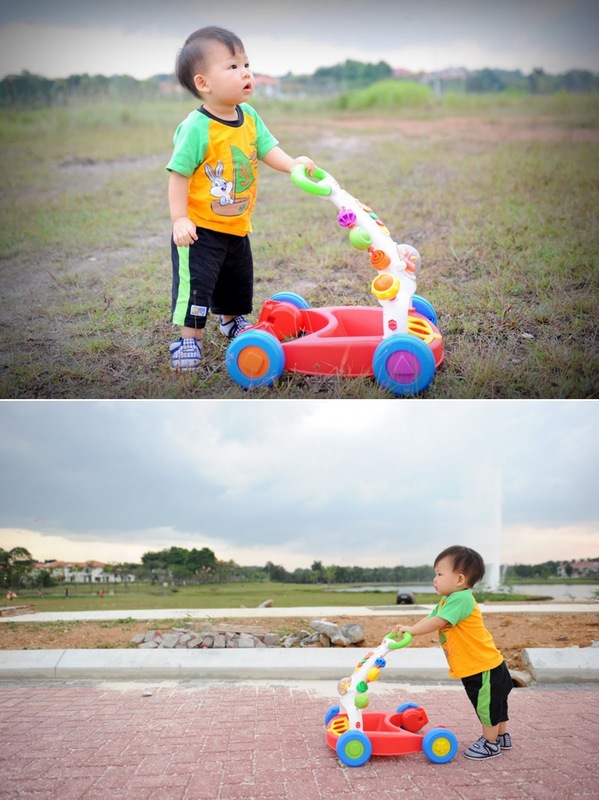 He has a few push walker for him.. Will review it if I have time.. hehe.. too busy.. but anywhere.. he like the most is this simple push walker from Fisher Price.. Is a birthday gift.. from whom we really have no idea.. but Thank You to whom who bought this for Marcus.. It is indeed a very good gift!! Previously he will only push the plastic chair.. the living room chair to walk.. but now with this he want walk everyday and practice more!!! on a evening time during weekend.. we found the weather is pretty good.. so we bring him out to the taman near our house for a walk practice.. he is enjoying and have fun!!! recently he like to some and hug my leg.. is your baby same too?? 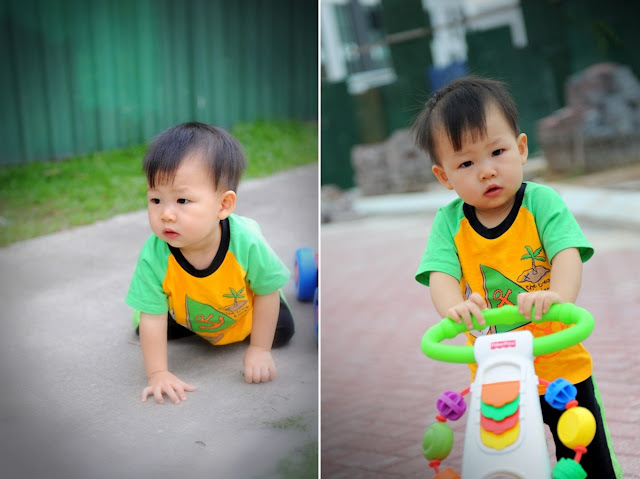 we also bring MAX out for a walk..
mommy.. on the grass is too difficult to push leh!!! 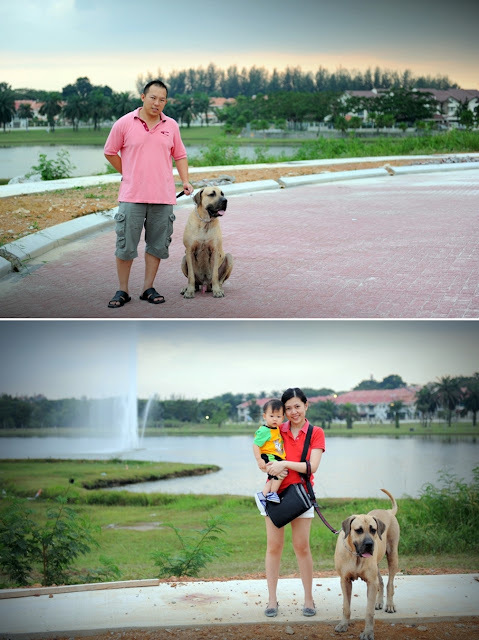 OMG~ MAX is so BIG~!!!! I scared big doggie~ Marcus not afraid of it? Pls write the review of the push walker... I need to buy one for my daughter 1 year old birthday soon~ Hehe! I sourced one which is vrtech one, seems got a lot of function~ U have that one too? want to have a photoshoot for your girl for 1 year old?? I just launch my photography service finally..